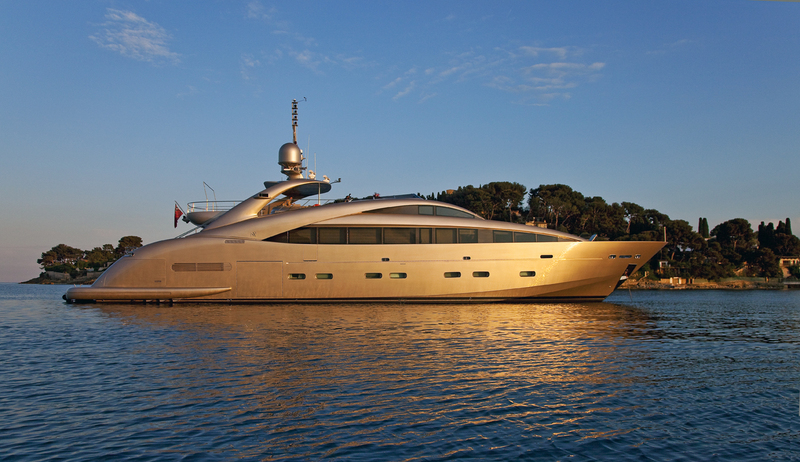 Motor yacht SOIREE is a metallic coloured 2009 37m ISA 120 superyacht which is available for luxury yacht charters in the Mediterranean. 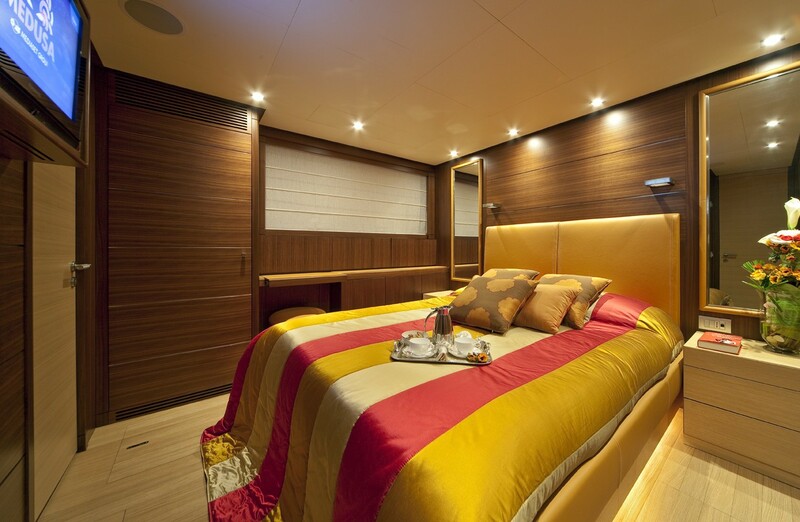 This stylish and modern motor yacht can accommodate up to 10 charter guests sleeping overnight in 5 ensuite cabins - 3 with double beds and 2 equipped with twin beds. 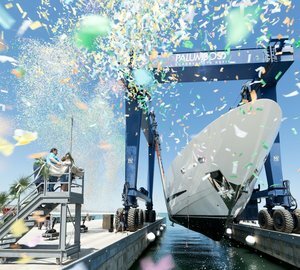 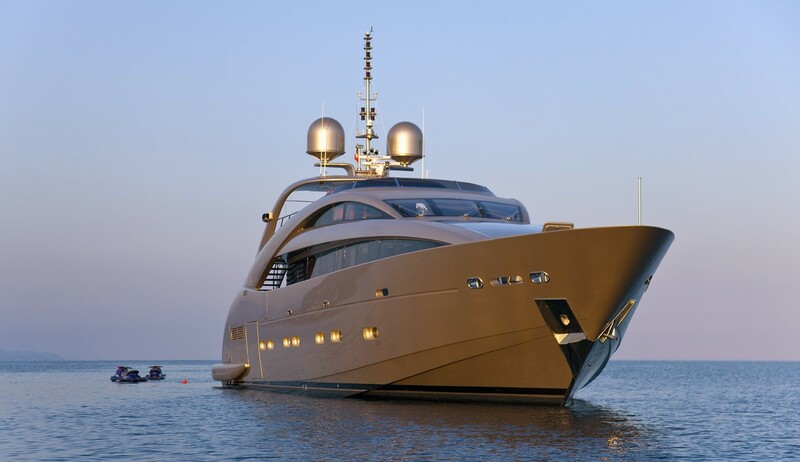 Superyacht SOIREE had her Naval Architecture carried out by ISA Yachts (international Shipyard Ancona) and her exterior yacht designer (who created the striking and contemporary look on this ISA 120 yacht) was by Andrea Vallicelli. 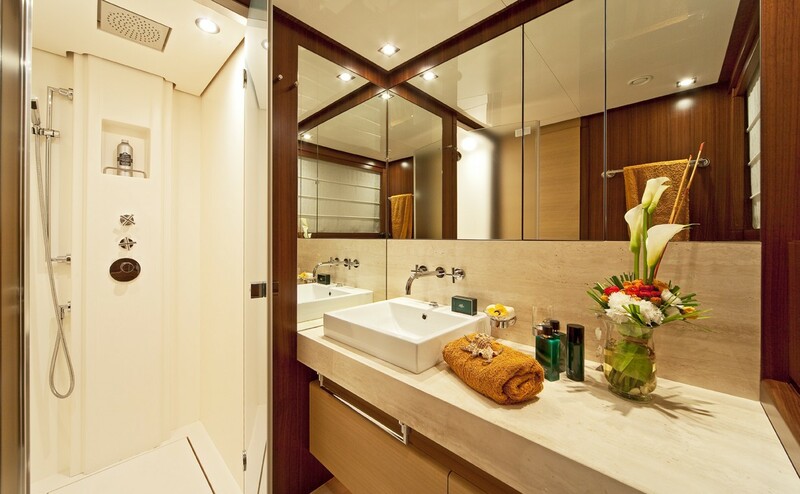 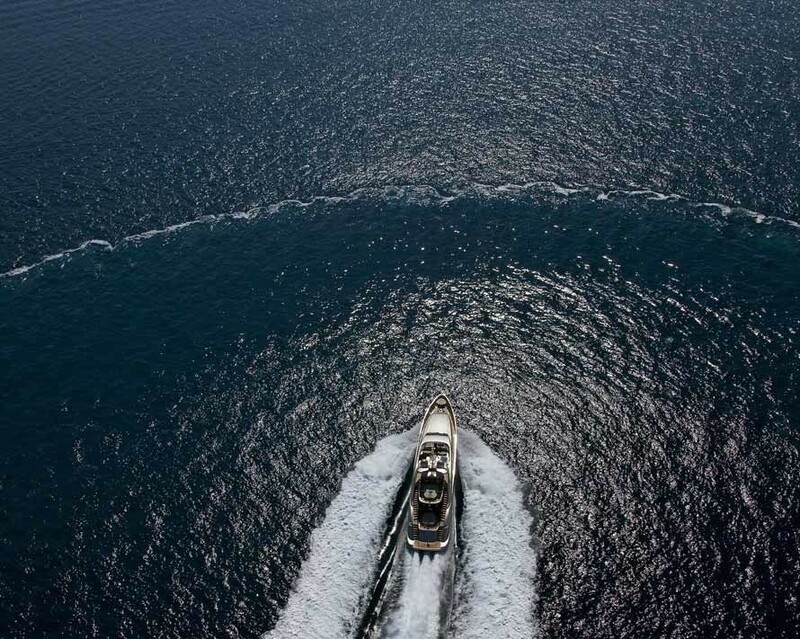 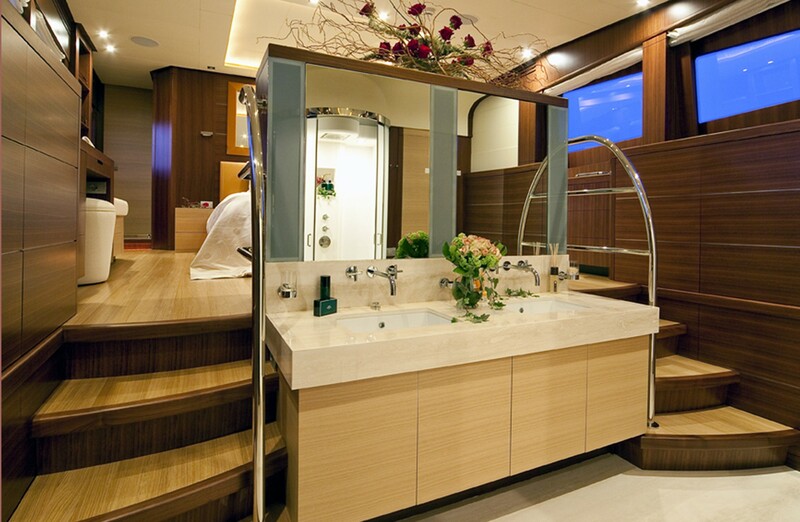 Comfortable, luxurious and stylish inside M/Y SOIREE also provides zero speed (at anchor and underway) stabilizers for overall increased comfort and stability. Her interior decor is warm and contemporary, featuring neutral furnishings and beautiful wood floors. 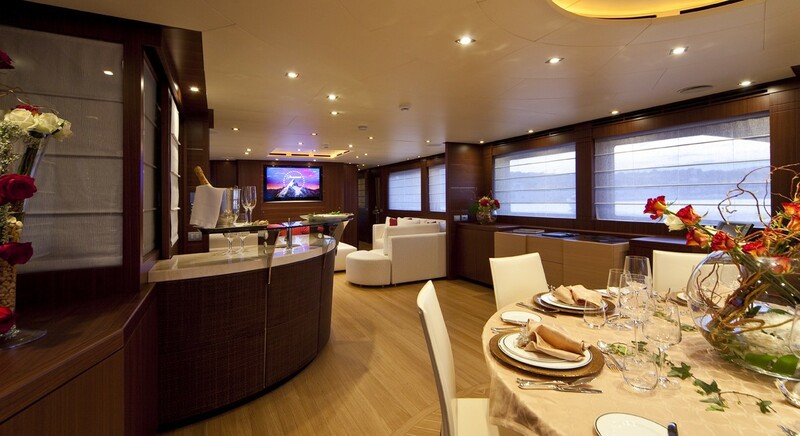 The salon and dining is laid in an open plan, with the spacious lounge forward and formal dining aft. 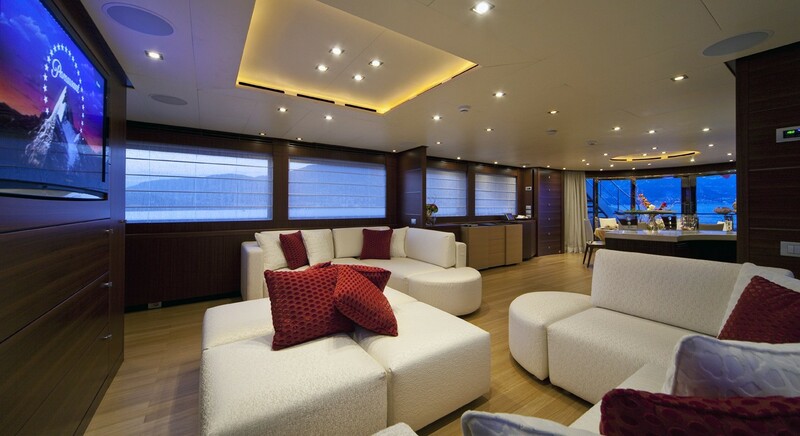 Panoramic windows provide plenty of natural light and great views. 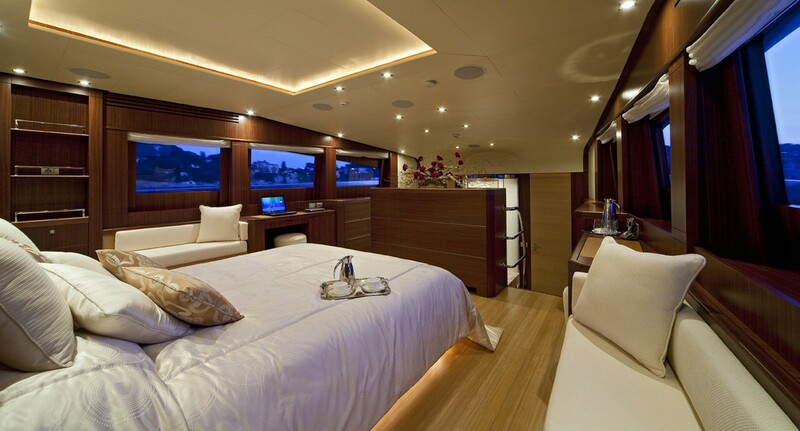 The master stateroom is on the main deck, forward of the salon, while below decks is a VIP cabin, double cabin and 2 twin cabins. 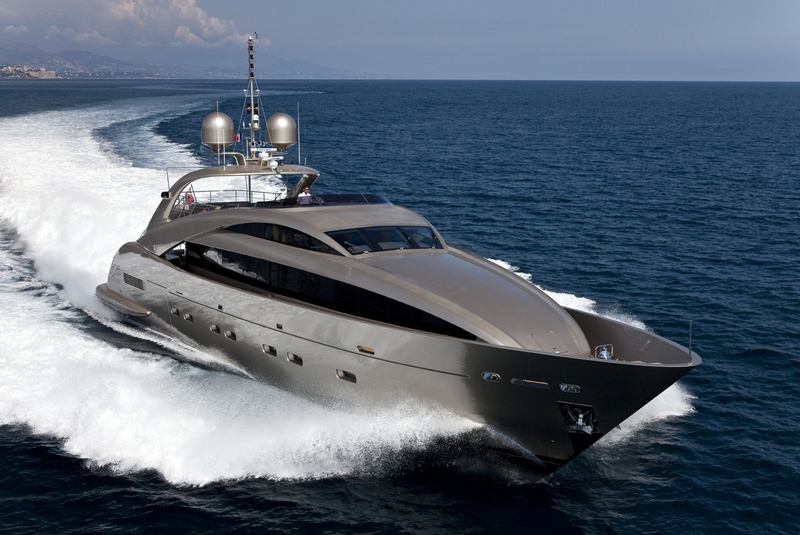 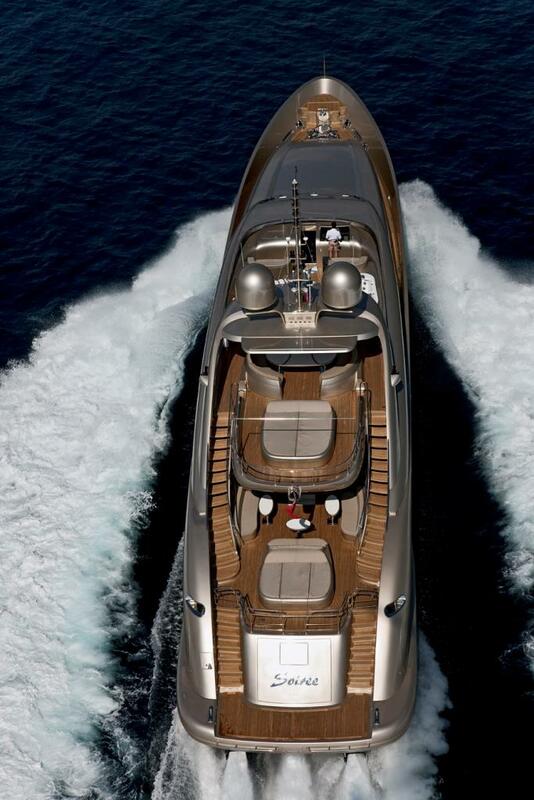 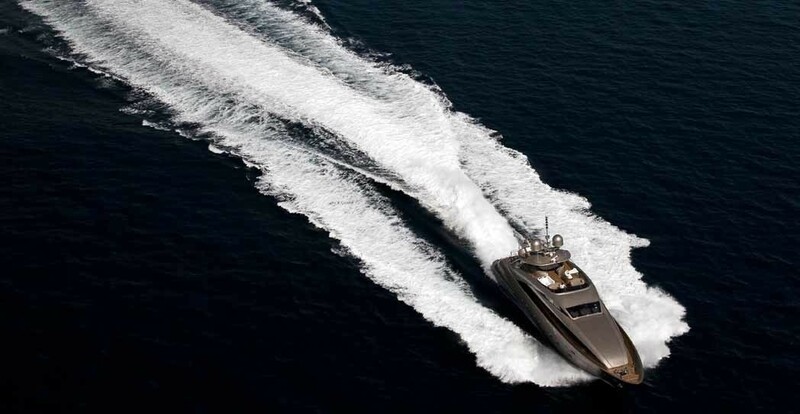 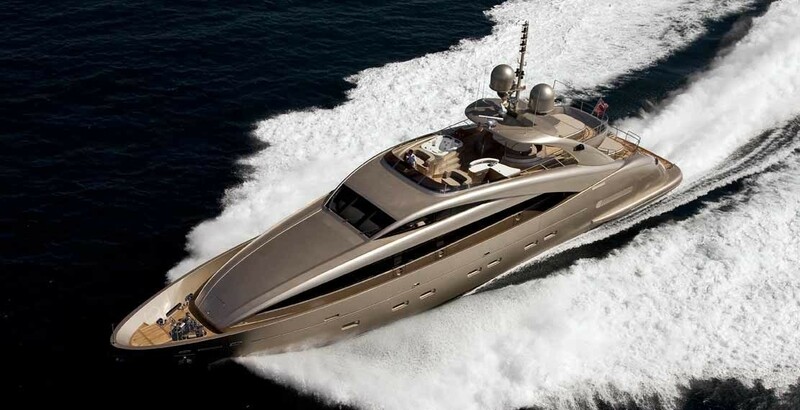 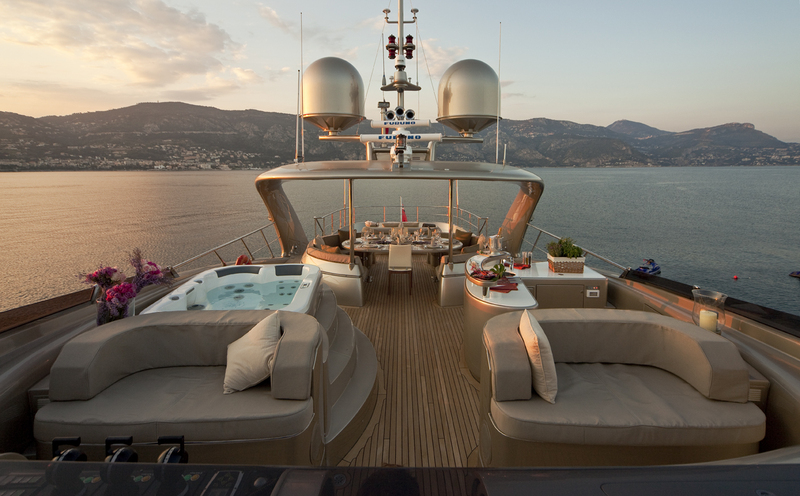 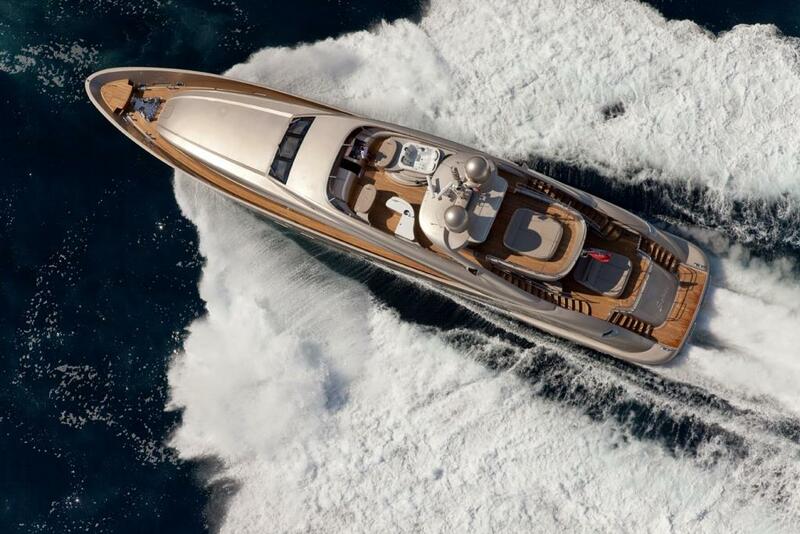 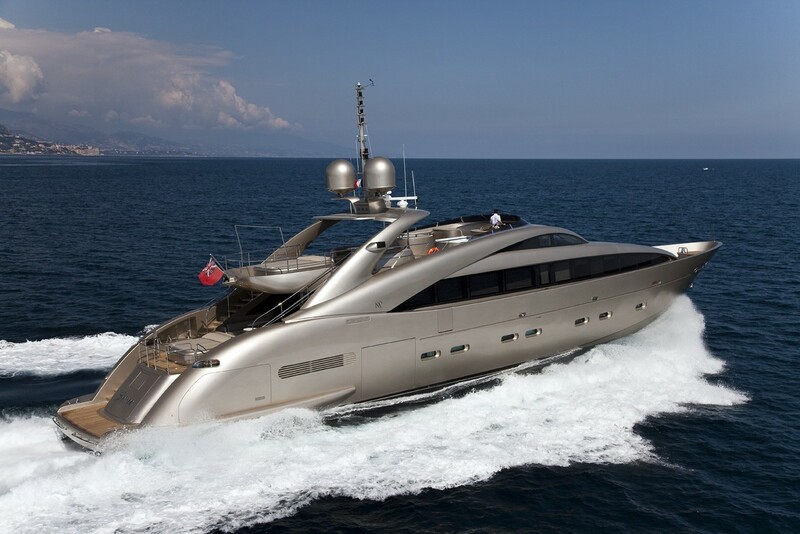 She has triple water jets, as powered by three MTU 12V 2000 M91 diesel engines giving a total horse power of 6,000. 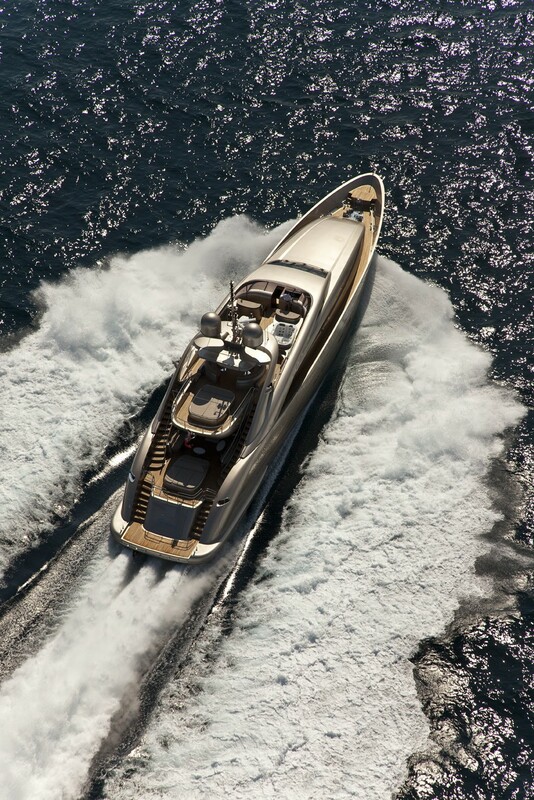 This power, together with her light composite planning hull means she can can reach top performance speeds of around 34 knots and cruising speeds of around 28 knots. 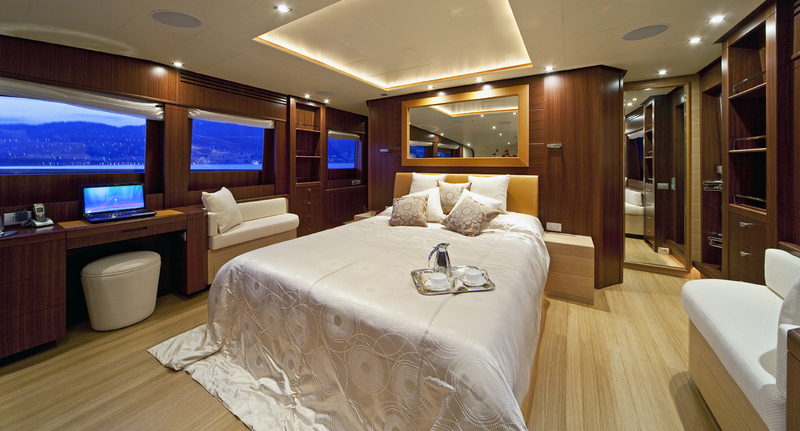 Please contact CharterWorld for further detailed information. 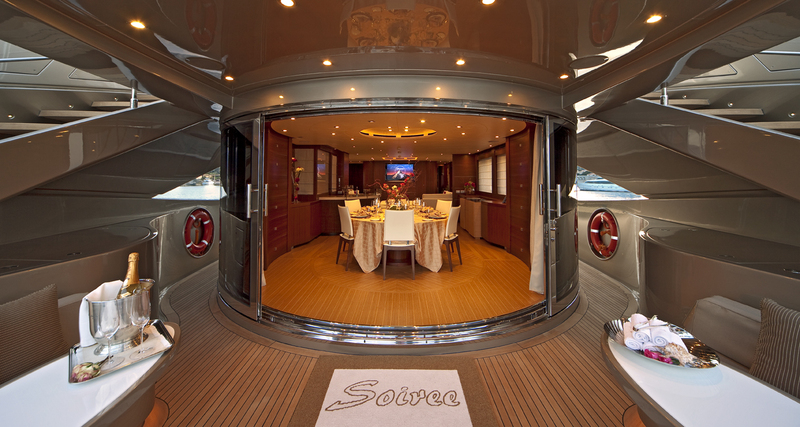 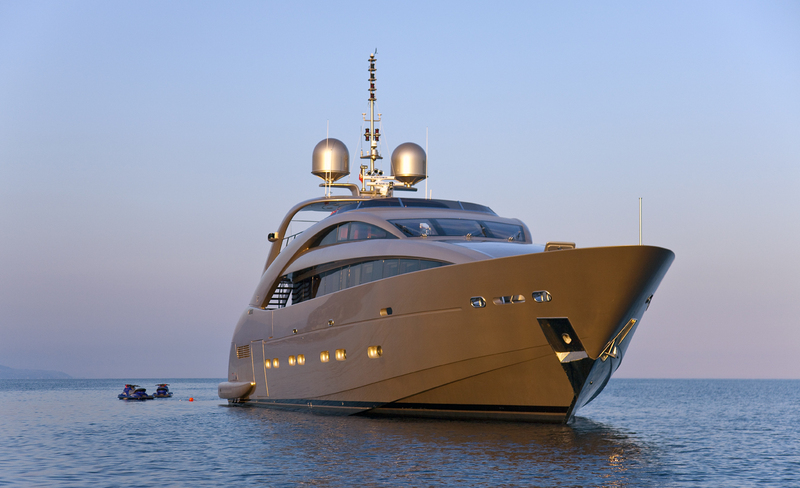 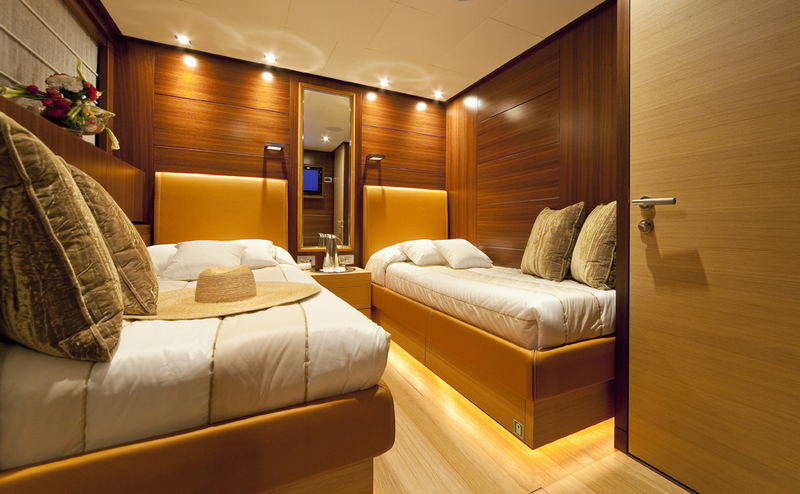 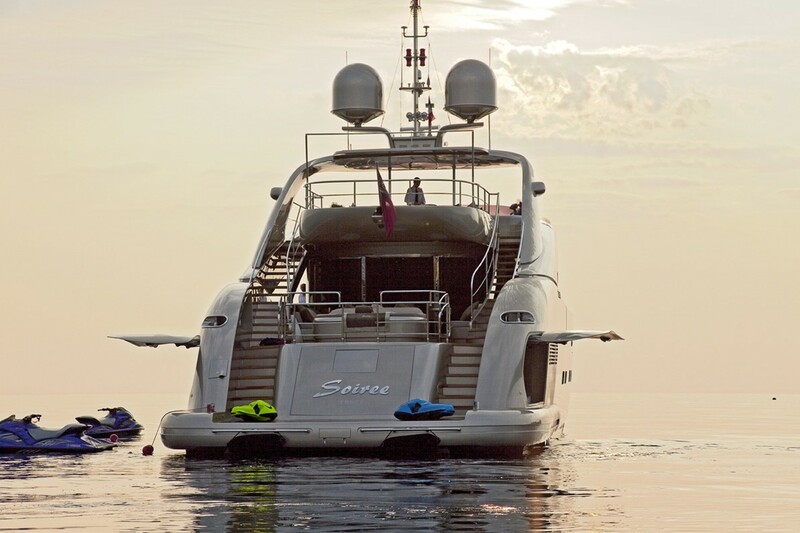 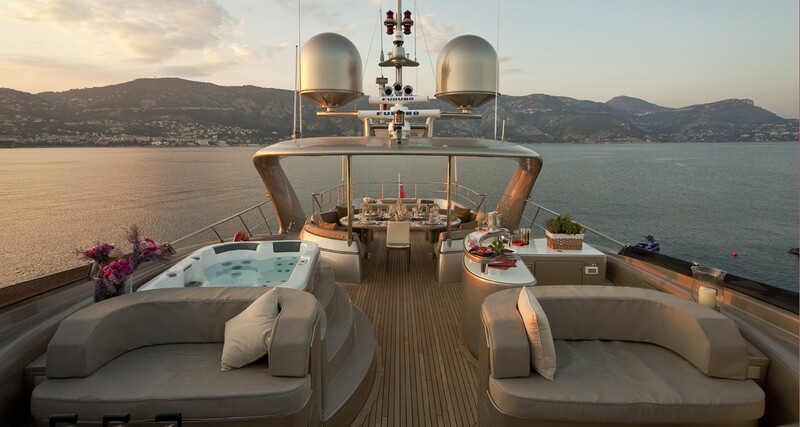 Motor yacht SOIREE can accommodate up to 10 charter guests sleeping overnight in 5 ensuite cabins - 3 with double beds and 2 equipped with twin beds.